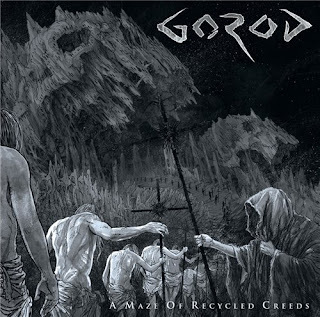 When you think in Gorod the French Tech Death metal band, you might think of another bands name within the genre as their fellow countrymen Gojira, the Canadians Beyond Creation, the Germans Obscura or the Americans The Faceless and even the mighty Nile, then you think; Why Gorod isn't there among the pack? if they have enough arguments to be respected as the aforementioned bands, "A Maze of Recycled Creeds" it is their fifth full length in their discography, preceded by their controversial album "A Perfect Absolution" in 2012, which was criticized by many, but hailed by others, however this occasion they simply decided to go further and make clear enough how Tech Death metal should be played. 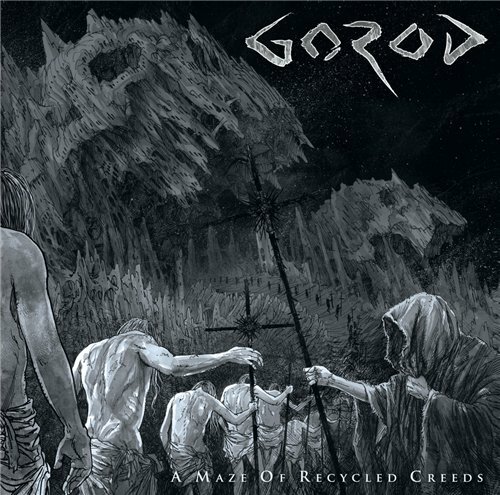 "A Maze of Recycled Creeds" dwells into a mix of well balanced jazzy riff, funky passages and grooves that add boldness, their riff switches back and forth with a singular smoothness, that make the complexity, dynamic and brutality merge in a subtle and convenient manner, placing this album as one of the best Tech Death metal of the year. Since the opener cut "Air De L'ordre" a smooth piano intro which does not represent or belong to "A Maze of Recycled Creeds" you're clueless to what is coming, but suddenly the intricate guitar work that "Temple of the Art-God" carries with it, the drums are blunt and the raspy vocals complement this song and right away links to "Celestial Nature" what an awesome track with funky bass notes rumbling in the background perfectly integrated in their Tech Death sound, which takes you into an unpredictable twist, "Inner Alchemy" keeps up in the same vein, you have to listening loud, the guitars are fresh and sharp without interfere at all with the low frequency of the bass, only Gorod were able to pull off such amazing notes and conjoining them into a single track, "An Order to Reclaim" in my opinion could reach the top of the album, it's plagued of funky riff that are aggressive with nauseating drums to make another perfect twist by the end slowing down the pace until reach what I could call a strange fusion of Funk and Doom metal, "From Passion to Holiness" the grooviest track in the album resembles what the band did in their previous album, but this time adding some refined low tones, "Dig into Yourself" displays an inventive progression chords defiant and fearless to bring one of the best guitar solo in the album, "Rejoice Your Soul" and "Syncretic Delirium" anyone could close the album, both tracks are magnificent, the very last track in the CD is an alternate version of “An Order to Reclaim”, which is not included in the 12 inches version. 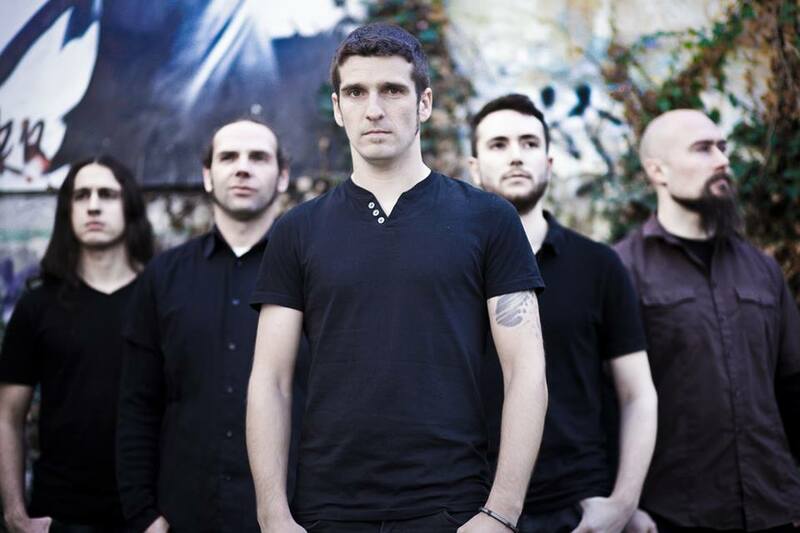 Gorod got engaged with themselves to deliver an extraordinary mix of diverse styles varied from Jazz, Funk and Progressive to fuse almost perfectly with their Technical Death metal sound, there are few aspects that prevent this album be what deserves to be, the piano intro simply get lost in time by the end you barely remember it and "The Mystic Triad of Artistry" for some reason I just don't get it, I could say the riff doesn't feel convincing or the crushing pace alters the previous balance, but there something that doesn't flow as it should be, however this is an album that you cannot miss, so what are you waiting for?